Paid freelance writing is a lucrative way to get paid to write from home. You don’t need a fancy degree or raw genius to be a freelance writer, although neither one would hurt. A recent study done by Payoneer found that the average pay for a freelancer throughout all major countries was $19.00 an hour, which is a substantially high wage in some countries. This number increases to an average of $31 dollars an hour if you are in the United States. Who can imagine anything better than to get paid to write in your pajamas on the couch with your kids or your dog? No commute, no inflexible hours. Money may not be everything in life but being comfortable with your financial state can save your sanity. While writing for money might not be for everyone, I think most people with a knack for writing would agree that it’s an ideal full-time occupation, or even just a perfect way to earn extra money. Regardless of your professional goals, you need to know where to start and how to find clients to pay you. 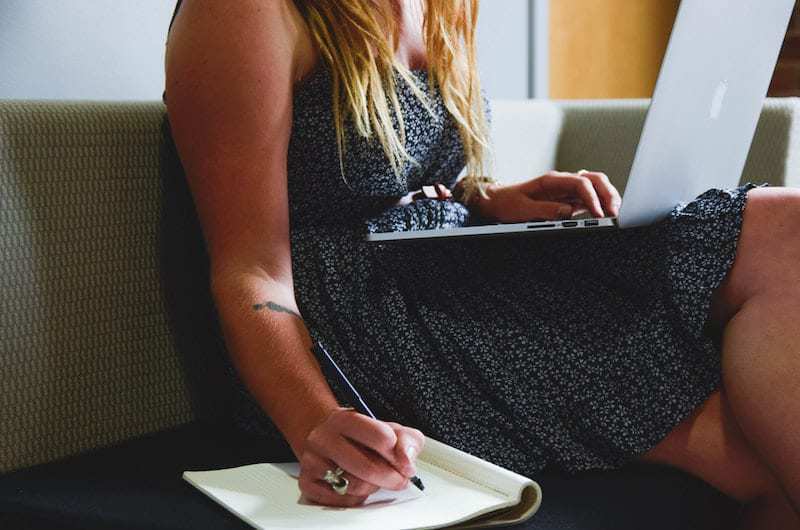 We’ve broken the process down, provided several sources to help you lever your way into a successful career, and coupled that with some of the best freelance writing websites available today. Deciding that you want to be a freelance writer is the easy part. Sometimes the biggest challenge is knowing what you want to write. If you move into this space thinking “I can just write about anything anyone needs,” you might do OK. Nowadays you can definitely get paid to write about anything. However, you can be more targeted in how you market yourself if you know what you want to write about. It’s beneficial to focus on topics that you enjoy, but equally vital to zero in on topics in which you have (or can easily build) a specialization. Within the freelance writing world, a niche refers to a specialized topic of focus. If Home & Garden were the topics, you would probably expect to find such niches as vegetable gardening, lawn care, or exterior decor. Once you specialize, you do yourself credit in sticking to it. I have a personal finance blog, for example, and write freelance for another personal finance blog. Coincidence? Hardly. There are loads more, but those are just some examples for you to see what kind of topics will enable you to get paid to write. Truthfully, these are broad topics, and the niches within them are nearly limitless. You may love writing so much that you think that you’ll be happy to get paid to write regardless of the subject matter, but this is going to turn into a job (and it’s important you treat it as such, even if you don’t have a boss), and you will most likely be doing a lot of it. If you struggle to think of something about which you are passionate, consider what topics you find easy to talk about. What subjects do your friends and family members tend to come to you for advice on? Writing about your own passions will make paid freelance writing much easier and more enjoyable. There will be times when you will be challenged to fit new tasks in around current commitments, and enthusiasm for the topic will help you keep your momentum. You’ll save yourself time and energy by narrowing your focus now. What Are Other People Making Money Writing About? An excellent place to learn how to get paid to write is by looking at other freelance writing sites that appear successful. If a website seems profitable primarily due to its blog or user-contributed content, this is likely a strong niche. Naturally, some topics do better than others. People tend to pay for or engage in content that will improve their lives, making topics like finance or health and fitness great niches for a profitable career in paid freelance writing. Luckily, many bloggers tend to provide income reports, which is a great way to identify the profitability of a niche. Pay special attention to these reports, particularly if they are in a classification or category in which you think you have something to offer. There are several websites that pay for writing, all of which offer varying degrees of accountability and compensation for paid freelance work. Some freelance writing websites subject users to an application process, so be prepared to fill out a form, not unlike a job application. Also consider gathering a few samples, particularly if they are paid freelance writing articles you’ve previously written. Upwork is a great site to start with when you first dip into paid freelance writing. The fees take a toll, and although you may want to rush head first into high paying jobs, it doesn’t usually work that way. When you have a lot more expertise and experience writing quality articles, getting paid to write should come much easier. People will be willing to pay you a decent amount if your work is timely and of sufficient quality. Upwork works on a rating system. The high paying jobs in paid freelance writing tend to require that you prove your mettle through smaller jobs. Because it is client-driven (both the ratings you receive and the requirements you must meet to pitch for other jobs), it is vital that you put your best foot forward with every task you accept. If this is your first time getting paid to write, Upwork is a great place to start. To get paid to write with TextBroker you need to submit a writing sample, get your rating, and complete your author profile. You may also be asked to confirm your identity through with a selfie. Once you’re approved, you can start writing! On TextBroker you will earn cash for every word that you write. You may choose to work with OpenOrders, DirectOrders or TeamOrders. OpenOrders: paid per word; compensation is dependent upon your quality rating (which can improve with every task you complete). DirectOrders: client contacts you directly to offer work, based on their experience with your work or due to competencies or qualifications evident in your profile. TeamOrders: work with a team; join multiple teams and get paid per word. The client will set the amount per word in advance. The diversity and flexibility of this website that pays for writing make it a unique opportunity. 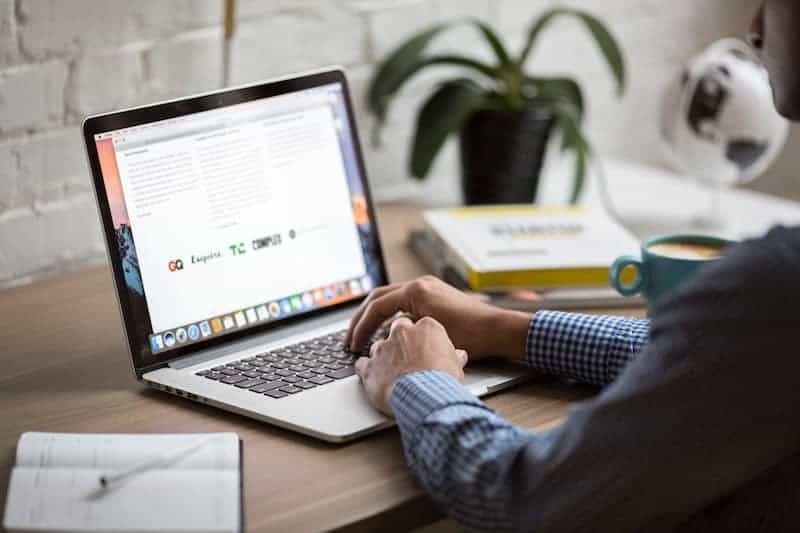 TextBroker takes client and author relations very seriously, based on their verification process, making this one of the best freelance writing websites in terms of security and accountability. And before you balk, I realize that this may sound like a very narrow field. The truth is that both of these educational niches are astronomical and some of the most heavily monetized niches in all the blogging world. If you are already a professional writer, IncomeDiary asks that you include your usual asking fee at the time of submission. They will pay up to $200 for a high-quality article. Having trouble knowing where to start? IncomeDiary provides a helpful list of the best guest articles that they’ve received. This is a great way to gain some insight into the service offering they provide and to tune your approach to getting paid to write. This website pays for writing based on your input asking price. While you could just offer $5 for your services, I’m going to assume your time is worth more than that. On Fiverr, you are in control of your own destiny. You create a listing called a “gig” to offer your services. Parties seeking a particular skill set may then contact you. You are also able to add additional services on each gig, allowing for a bundling approach that gives buyers a lot of flexibility to choose the right plan at the right price. For example, you could offer a basic copy of 250 words for $5, and $10 for each additional 750 words. Someone could choose to buy only the first 250 words, or any combination up to the limitations of your gig’s terms. Your service offering could also include graphics or tighter turnaround times at an additional cost. Fiverr is definitely not just limited to paid freelance writing, either. Take some time to consider what other skills you might have to offer an interested party. Get creative with your offerings to maximize your exposure. If you want to get paid to write about travel, this is the site that you want to pitch to. Their open submission process gives little regarding outright compensation. I’ve seen that they pay $1 per word on one site, but another site says that they pay $2 per word for print and a total $1,000 for digital distribution. I recently read an interview with the editor of Travel + Leisure. She was asked what kind of content she looks for when considering paid freelance writing. She said if you are looking to get paid to write, she would prefer a few catchy headlines rather than walls of text. Beyond that — and this is good advice with any website where you can get paid to write — she encouraged that freelance writers comply with deadlines and be professional once they have the job. This is another excellent site on which to get started if you are new to freelance writing websites. They seem laid back but also offer decent pay — some of my favorite qualities! Listverse is a site that contains list articles – such as “10 Ghost Towns Near Famous Cities” or “10 Little Known Facts About Bananas.” Basically, anything that is interesting and in list form. 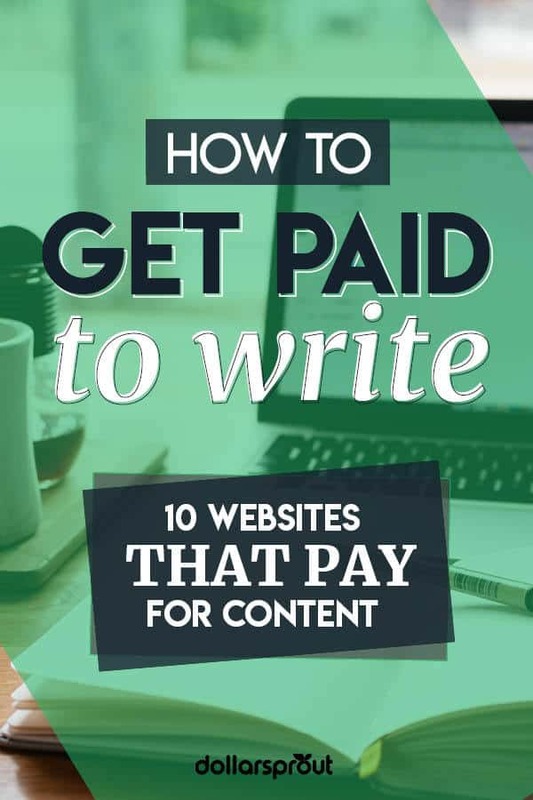 Listverse provides a helpful section called “Write & Get Paid” where they explain what they are looking for, with a focus on what their readers enjoy. Take some time to review it for yourself; their primary interest is in articles that show normal things in a new or unusual light. They ask that a list contain a minimum of 10 items. You don’t need to have experience, but they ask that articles be interesting. If your list submission is approved, you’ll be sent $100 via Paypal. If you think you have what it takes to get paid to write lists, this is the perfect opportunity for you! With 11.9 million unique monthly viewers, Mental Floss certainly ranks as a competitive freelance website. Mental Floss is a self-proclaimed “encyclopedia of everything,” and seeks paid freelance writers for the two main sections of their site: Lists and Big Questions. Mental Floss directs queries to [email protected] If they like your article, they are happy to pay you for it. SlickWP is a website that pays for writing about WordPress and the Genesis Framework (a customizable blog theme). Submissions can be in the form of a tutorial or article about these topics. They not only pay $100, but they also provide a backlink to your site or social media profile. This may not be necessary for your average writer, but this is a huge value add if you are a blogger or website owner. The submission guidelines for The Dollar Stretcher are pretty clear — they won’t take any old article! With over 10,000 articles on their site, they ask that you check that no other content already covers the topic about which you plan to pitch. Additionally, Dollar Stretcher asks that you provide a quote or two from experts in the field about which you are writing – assuming you are not the expert. Most experts will be more than happy to accommodate this, provided you give them credit or cite your source. Before writing your post, make sure that you email a query. Tip: They have a bi-monthly print version and a weekly online version. The online version will, therefore, have more space available, so you are more likely to be successful at pitching for that. Keep in mind that the online version does not offer compensation. For this reason, make sure to specify whether you’d like your work to be considered for the “Online Version” or “Print Version.” Also be sure to specify whether or not you intend to get paid to write, as they do accept unpaid submissions for both print and online versions. It should come as no surprise, but Yoga Basics pays for freelance content regarding Yoga. This site requests that writers are either an experienced yoga teacher or have extensive knowledge/experience in yoga. If this sounds like you, submit an article of 550-700 words in length, written in an informative and entertaining style. They pay $30 per article, but this can increase over time based on your performance and reliability. The guidelines for each of these websites that pay for writing may have given you some clear and specific direction. Chances are you intend to (or already have) begun your journey with one or multiple paid freelance writing opportunities above. That said, here are some recommendations to start you out strong and ensure that you can push through to a comfortable rhythm of nurturing your passion for language and getting paid to write. You won’t sell a single word if you don’t put your name down somewhere, and not everyone who is seeking a paid freelance writer will go to the same site. Therefore, it’s a good idea to create a profile on all the best freelance writing websites. Remember that your profile (if applicable) is your one chance to showcase your writing skills without submitting a query or pitch. Take the time to create within this space and not just inform. Proofread as if your profile was going to print. And then do it again. Part of getting your name down is getting your name out. Even the most stunning of profiles is only as valuable as the reputation tied to it. You probably aren’t going to have clients knocking down your door, attractive as the dream may sound. Marketing and networking are intrinsic to a successful career, particularly as a paid freelance writer. Your online profile is your business address, and you can make it a good neighborhood or a bad one. You also need to meet the neighbors. 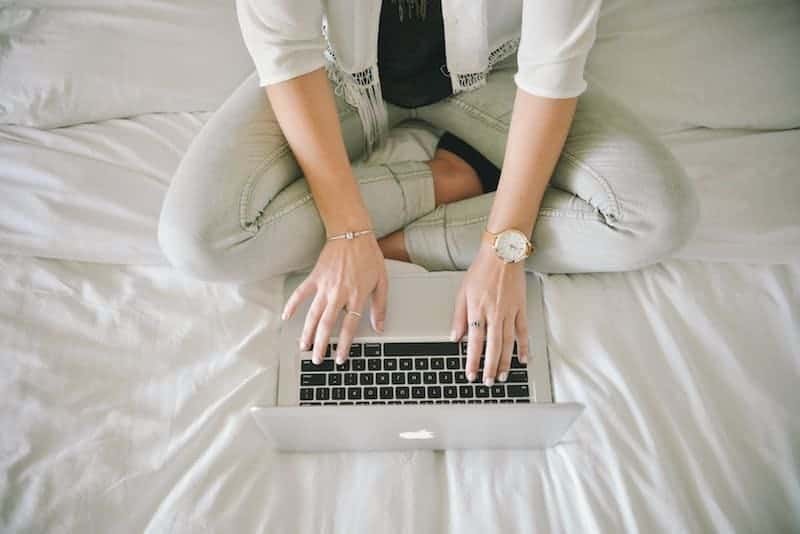 While some of the sites provided may not be the highest paying gigs in the world, they will enable you to practice your writing skills and perhaps open the door for more lucrative opportunities. If nothing else, working with these clients will open the door for word-of-mouth or lead generating. Build a network of the people you serve, and that relationship will serve you. There is no shame in accepting smaller paying jobs when you are just starting out. Higher rates will come with time. If you still feel hesitant, or maybe worry you aren’t a good enough writer to get paid to write, consider taking a writing course. You can learn the secrets of six-figure freelance writer Holly Johnson in her course, Earn More Writing. Holly teaches valuable skills in technical writing. She also shares invaluable information about negotiating the professional waters as a freelance writer at large. Learn how to pitch to clients, get paid to write, and how to land those coveted writing jobs. If you’re not quite ready for a course yet, check out Holly’s free webinar, How to Build a Six-Figure Freelance Writing Career. In paid freelance writing work, as in any profession, presentation is a vital component. Create a portfolio website dedicated to showcasing your articles and skills. Don’t panic if you don’t have enough to fill a proper portfolio yet. The best equalizer is entry level work. Spend your personal time sharpening your craft, and crack into some of the low-end work that will plant the seeds of your freelancing career. Choosing your niche will help you create your portfolio. Keep in mind that there is no harm in variety, though. If you really want to get paid to write but don’t want the pressure of writing for several different clients, blogging could be a more satisfying alternative. Once you’ve established a fair amount of content, a blog can convert to passive income (income that requires no active maintenance or further contribution to earn). Please don’t think that I’m saying that starting and maintaining a blog is a walk in the park — it most definitely is not. It takes a lot of time and effort to create content and maintain a website. Success won’t come instantly. I’m not saying this to put you off. It is important to consider that, like anything, work and dedication will be necessary to make something that is both substantial and lucrative. How Do Bloggers Make Money From Writing? When you aren’t already in the blogging world, it can seem a bit confusing to understand how blogs make any money. This is a question that I get asked every single time I tell someone that I have a blog. There are lots of different ways that bloggers make money. For our purposes, I’ll focus on earning money specifically from writing. Have you ever been to a website, seen an ad for something you were just looking at yesterday, and clicked to buy it? That website made money from your visit. Ads are a passive way to make income from your site, but they’re not the most lucrative option. When readers visit your site and click an ad, you get paid a few cents for referring that reader to someone else. Affiliate marketing is a significant source of blogger revenue. Again, it comes from writing good copy. Affiliate marketing is where you promote a product or service and receive a small commission if/when the reader clicks through and makes a purchase. You can write blog posts centered around a particular affiliate that ties directly into the larger message of your blog post. You can also use various affiliate links throughout a blog post. Courses like this one can guide you through choosing the best type of affiliates for your blog, how to sell to people without being sleazy about it, and how to create a copy with a high conversion rate. Another great way to make money blogging is to use your blog to promote your own products. eBooks and online courses are popular products among bloggers because they have low upfront cost and can convert immediately. This is considered passive income and a solid way to make money. Before you start creating products, you need to do some research and get a feel for your audience’s needs. Once you know what people are looking for, you can create and sell downloadable or online content. There’s little risk involved beyond time and effort and a substantial amount of reward. This decision between paid freelance writing and blogging is not an either/or. If you aren’t sure which is right for you, don’t fret! You can do both, of course. Everything you write helps you refine your style and voice. Paid freelance writing is a temporary investment in a single piece of work. It’s certainly not guaranteed to be easy work. You will have to perform research, write well, keep the reader’s interest, and fine-tune your language to maximize the article’s search engine optimization. With paid freelance writing, when your client is happy with a final product, you are done. With blogging, on the other hand, you will need to do a lot more than write a post. Most people don’t realize how much work goes into a blog. Sometimes it’s hard to explain where the hours actually go. Writing is only one piece of the puzzle. You may need to engage in social media actively, manage an email list, and market your blog. There is no true “finished state” for a blog. Because of this, your blog will be your baby. It’s yours, and yours alone, and no-one can tell you what shape it could or should take. It’s a lot of hard work, but it’s also very rewarding. For more ideas and inspiration, check out how this new mom is making money with her blog (while working full time). The most important step to getting a paid freelance job is to dive in. You will make mistakes along the way, but you will also learn a better way to do things. Studies have shown that the need for freelancers will only grow, so why not give it a try? As you can see, there are plenty of opportunities to get paid to write. All you have to do is choose yours. 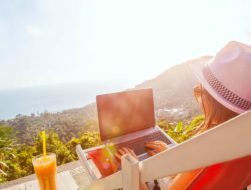 Do you know how to make money writing from home? Do you have any other tips or know of other websites where you can find freelance writing jobs? Share them in the comments! Mum of one, most likely found blogging or side hustling with a cup of tea in hand. British, Criminal Psychology student, lover of chocolate and cake, hockey player.